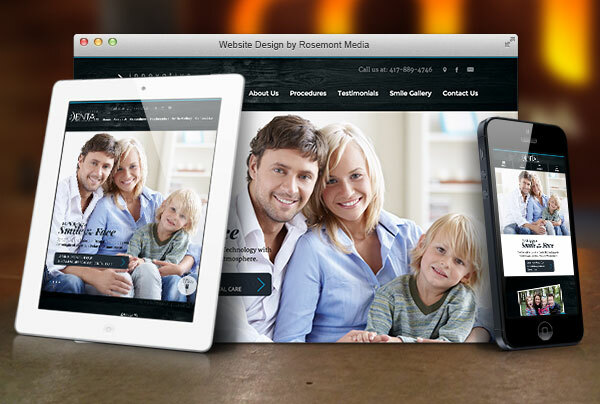 Innovative Dental recently teamed up with Rosemont Media for the creation of its new dental website design. The site was developed as an enhanced patient resource with a comprehensive content expansion organized in a more convenient layout. The website is filled with numerous procedural pages on such topics as porcelain veneers, Invisalign®, and root canal therapy. The customized content has been provided to help patients learn about the available options for improving their oral health and aesthetics of their smiles. With a passion for utilizing the latest advancements in dentistry, the practice’s founder, Dr. Grant Olson, is proud to offer a more user-friendly format with responsive capabilities. This responsive website design allows the viewer to browse through the site on any Internet-compatible device while having each page displayed in its entirety, compared to a traditional website that requires scrolling across the width to view the fixed page size. Additionally, Innovative Dental’s new website can more easily be found online, as the latest dental SEO strategies have been employed to increase the practice’s online presence. To see an example of a dentistry website designed by Rosemont Media, please visit www.idspringfield.com.